A retired policeman who patrolled the streets of Lancashire for more than 25 years has swapped his handcuffs for paintbrushes to set up a new business teaching people how to paint, from his back garden. 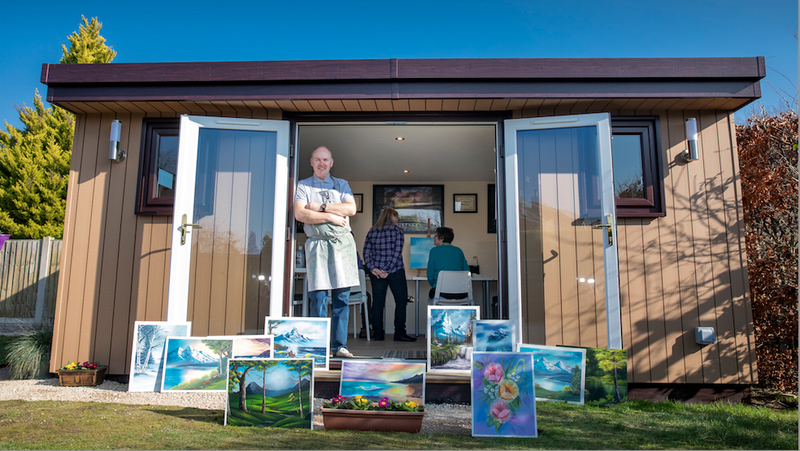 Former Preston bobby David Wiles has found a new lease of life after creating his own garden room art studio, saving him hundreds of pounds a year on the cost of hiring studio space, thanks to Rubicon Garden Rooms. He turned to Rubicon Garden Rooms to cut down the cost of hiring venues for his art classes and opted for a 5.5m by 3.5m garden room. 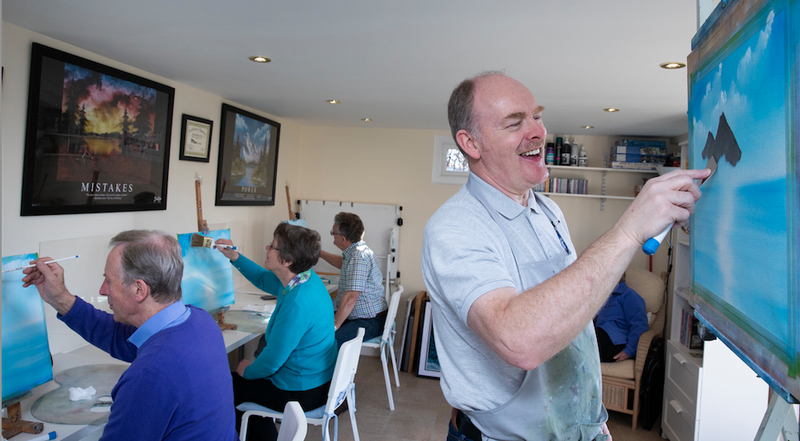 Now David uses his Rubicon garden room to host his classes, which attract busy professionals looking for relaxation, as well as retired people and those suffering from ill-health, to learn how to create their own masterpieces. Rubicon's Managing Director John Lyon said: ‘We are delighted to have been able to help David provide a warm, spacious venue to run his business from.